This completed my trilogy of twisted children's book parodies. 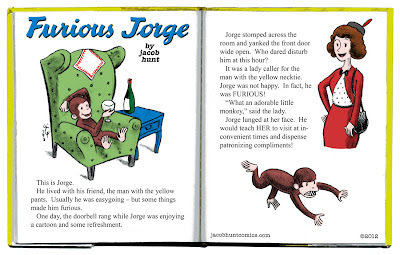 I was going to make a second part where Jorge mauls the lady, and the man with the yellow hat has to shoot him. But then I got sort of disgusted with myself because this was created shortly after that lady lost her face in a chimp attack. 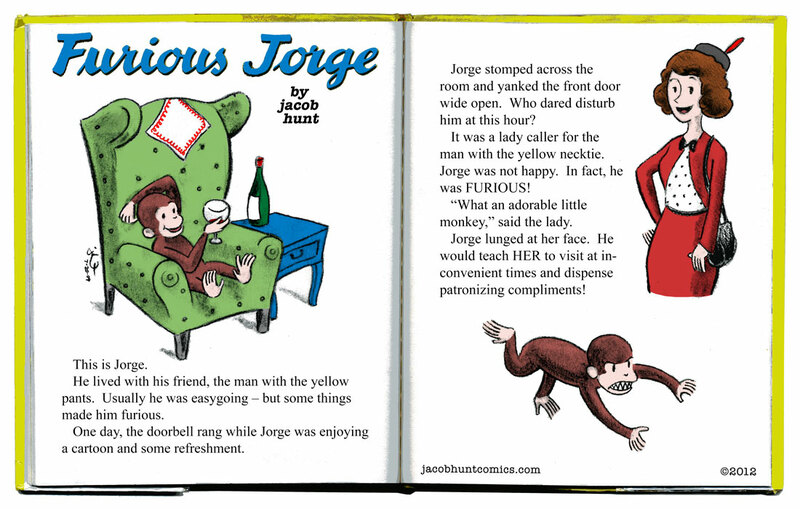 Drawing an angry Curious George face was a little tough because he literally never expresses that emotion in the books. Otherwise, I think I did H.A. Rey proud.